This is the first in a five-part series that will dramatically alter the way we see small churches and their kingdom potential. More than one billion people choose to worship Jesus in small churches. Yes, you read that right. One billion plus. This has massive implications for the church, the world and how small churches see their role in the kingdom of God. According to the very reputable Pew Forum, there are more than 2.2 billion Christians in the world. Almost one-third of the world’s population. If you’re a small church pastor who’s been doubting your value in the kingdom of God, it’s time for a massive shift in perspective. God has placed an awesome responsibility into our hands. Small church pastors oversee the spiritual lives of over one billion people! I don’t do a lot of number-crunching. But there are some numbers that matter. Numbers in my church don’t matter as much as I wish they did. Especially in the developed world. Let’s face it – most of the people in your church and mine came from another church. Net loss/gain for the body of Christ? Zero. But when we’re talking about the church, not just about your church or my church, things change dramatically. Every person who comes into the church is another soul going to heaven and rescued from hell. Frankly, I don’t care if they’re in my church, your church, a small church, a house church or a megachurch. I’m just grateful – literally, eternally grateful – that they’re in any church that preaches the good news of Jesus and helps them live it. Those are numbers that matter. And fully half of those numbers are in small churches. 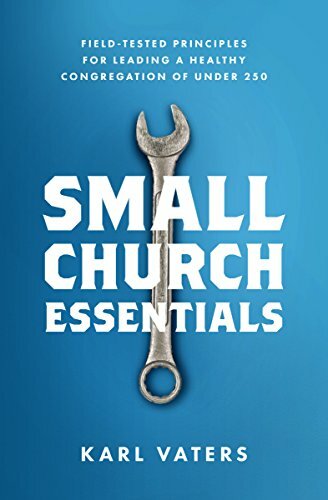 Small Churches: A Mistake? Or a Divine Strategy? This is impoortant, because too many small churches and their pastors have been made to feel insignificant when their annual numbers don’t go up as dramatically as we’re told they should. We’re often left with the impression that small churches are a problem to be fixed, merely because they are small. But if small churches are a problem to be fixed, let’s take that premise to its logical conclusion, given the stats we’ve just seen. Do we really think that over one billion of our fellow believers are mistaken because they’ve chosen to worship and serve God in smaller congregations?